The water damage Nogales experts at 911 Restoration Tucson know how to get your home back in shape after it experiences water damage. Issues like pipe bursts, flooding, or sewage backups can cause significant harm to your home. However, when our water damage Nogales specialists are on the job, you can expect all of those issues to be resolved as soon as possible. 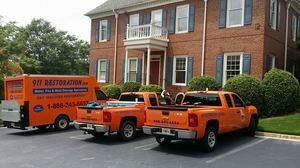 Our technicians are trained and equipped to provide customers with only the highest level of water damage service. Our licensed, insured, and bonded Nogales water restoration pros are qualified to fix any problem you may be experiencing. 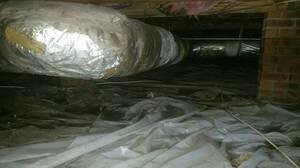 They will arrive ready to conduct a free home estimate and visual mold inspection. Our Nogales floodwater extraction teams are available 24/7/365, so you can count on us any time you need a roof leak patched up, our any other issue corrected. Water damage can come in varying degrees of severity. Issues like leaky roofs are pervasive problems that can affect large sections of your home. Advanced drying equipment which will effectively extract water and moisture out of your home. Inspections of your hard-to-reach areas of your home to look for any signs of mold. Restoration services for disaster and flooding damage. Salvaging of your personal belongings and measures taken to keep them safe. Water can weaken the overall structural integrity of your property, but, no matter how serious the leak or flood, you can count on the Nogales flood cleanup staff to make sure your home looks good as new. Our team has over three decades worth of experience in dealing with all water-related concerns. With our help, the Nogales leak repair workers will get your home back up and running in no time. 911 Restoration Tucson is fully committed to your satisfaction and your convenience. You can count on our quick response time, all year-round, so you can get the assistance that you need when it counts the most. We will also work with your insurance company to assist you in filing your claim and to provide you with the most affordable price. When you need immediate water damage repair and restoration, you can count on the Nogales flood mitigation crew to be there within 45 minutes of your emergency call. When your home is struck by a pipe burst, roof leak, flood, sewage backup, or mold growth trust the water damage Nogales disaster restoration agents with 911 Restoration Tucson to give your home a fresh start today!